To disable in Windows-8 and Windows 8.1 auto switch of the window border color, based on the colors in the desktop background picture. 1.) ... Customize The Border Color in Windows 8.1 and 10! 2.) ... Customize The Border Width in Windows 8.1 and 10! 1.) Customize The Border Color in Windows 8.1 and 10! Set custom color for windows borde in Windows 8.1 and 8? 2.) Customize The Border Width in Windows 8.1 and 10! By default, the borders of windows in Windows 8 and 10 are quite thick, and if you, like me, do not like it, you can make them as thin as they were in previous versions of Windows. Or vice versa if you wish, you can make the boundaries even thicker. 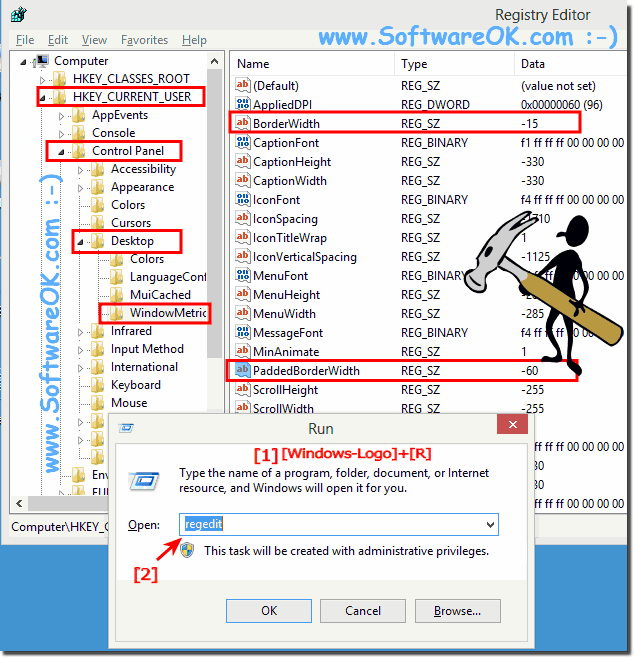 In this we can use a simple Windows-Metrics Application or a registry editor. To change the size of the borders of windows without editing the registry, you should download the Window Borders application for Windows 8. The application does not require installation. To start, double click on the executable file in the archive and all. Also, the width of the windows border in Windows 8.1 / 8 and the indentation can be changed without the help of third-party software. First, open the Registry Editor. To do this, open the home screen, type regedit, and press Enter. The fastest way to see the autorun entries is via the Windows 8.1 registry editor, please start the windows regedit via Windows+R keyboard shortcut and the command regedit! The range for this value for Borders is from 0 to -750 ( twips ) with the default, as is seen in Windows 8 Pro installation being -15 (15 twips). (Image-3) Custom Border Width of windows border in Windows-8.1-10! 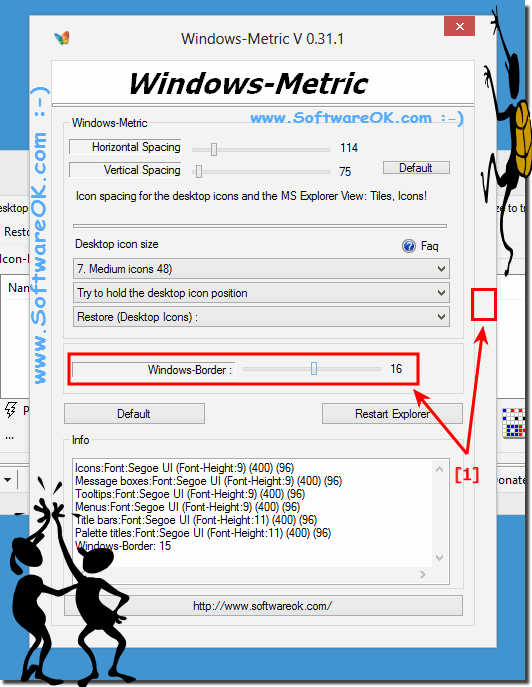 Windows-8 - FAQ-124: How to set custom color, width of windows border in Win-8, 8.1 and 10? Change border colors in win 8? Win32 set window border custom color? How to get custom colors in windows 8? Windows 8.1, changing explorer border color? How to reduce windows border in windows 8.1 pro? Windows 8.1 account picture border? Windows 8.1 changing border colors? Windows 8.1 window borders will not change color? How do i restore the taskbar and window borders color for window 8? Windows 8.1, window border colour? 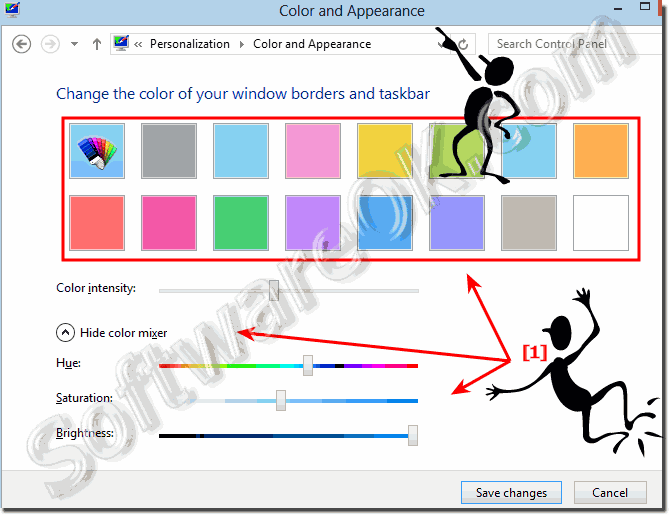 Customize windows borders in windows 8 disable color automatic? Change border colors windows 8.1 and in Windows 10? Changing border theme windows 8.1? Change border colors on windows 8.1? How change my personalized color in window 8.1? Windows 8.1 change program borders? Change colors on desktop for windows 8.1? Custom boarder color windows 8? How to custom colors windows 8? 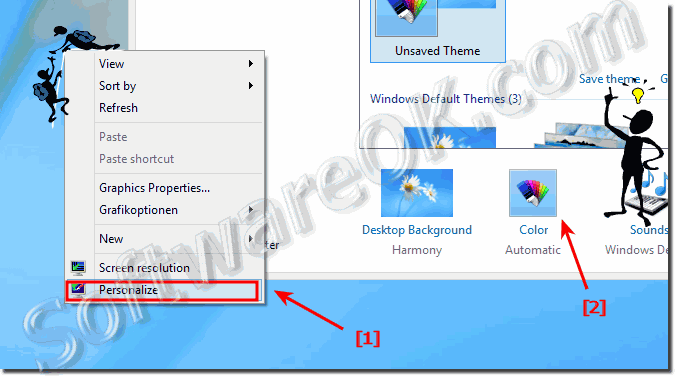 How to customize windows 8.1 windows colors? Disable auto border color switcher windows 8.1? Custom windows 8.1 theme color? Windows 8.1 change file explorer colors utility? Windows 8.1 colors for task bar & windows boarder? How to get custom border in windows 8? Windows 8 custom border colors? Win 8.1 color automatic custom? Windows 8 set windows border color? Change window border width windows 8.1 pro and Win 10? Windows 8.1 folder color changer? Windows 8.1 desktop color customization? Windows 8.1 window border color, how to set windows border color in 8.1? Change border colors windows 8.1? Windows 7 pro can't Define Custom Colors? Select any color window border windows 8.1?